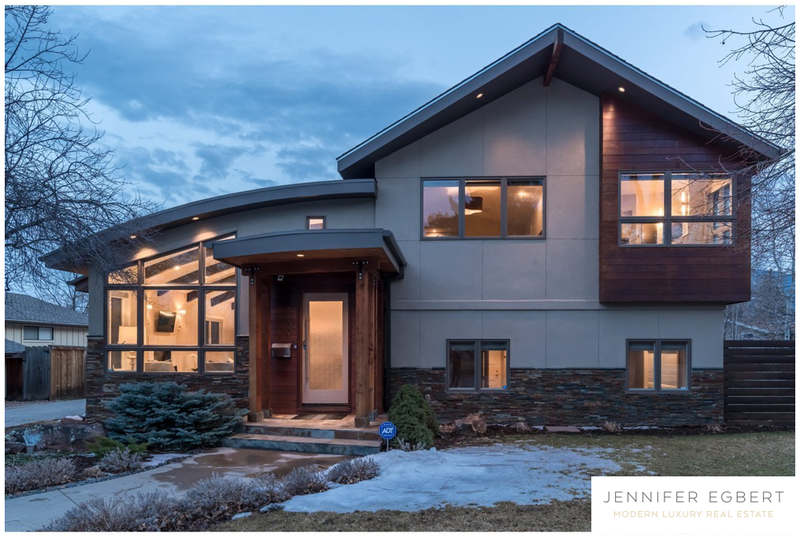 This stylish North Boulder home is filled with natural light, exquisite finishes and striking designs. The main floor features a beamed barrel vault ceiling and white-washed walnut floors. The centerpiece of the living room is a dramatic Calcutta marble fireplace and hearth. A wall of windows frames the quiet park just across the street. The open kitchen, with Calcutta marble and Ceasarstone counters, features a center island ideal for informal entertaining. Listed by WK Real Estate.